Drug distributor McKesson's technology business has officially merged with Change Healthcare, a revenue cycle and analytics firm. The two companies announced the closing of the multi-billion-dollar deal Thursday before the market opened. The new company will be called Change Healthcare, combining nearly all of Nashville-based Change's business with the majority of San Francisco-based McKesson's technology business. McKesson owns 70% of the combined company, with the remainder being held by Change stockholders, including investment firms Blackstone and Hellman & Friedman. But McKesson has said that it plans to sell its share in the company soon after the firm completes an initial public offering, which is expected in the next 18 months. 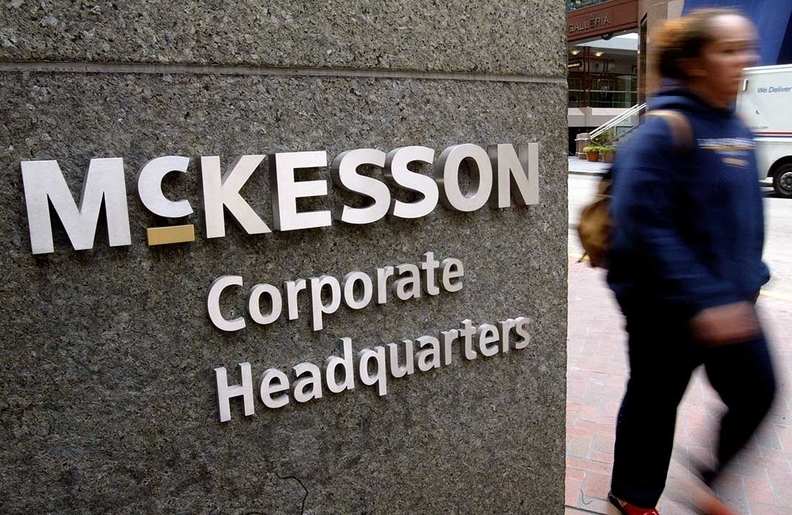 The deal allows McKesson to largely part ways with the majority of its technology business, including revenue cycle and analytics, while retaining technology platforms that are more in line with its much-larger drug distribution business. McKesson's technology segment was often a drag on its overall earnings when compared to the pharmaceutical business. McKesson certainly isn't leaving the healthcare technology space entirely: it has its RelayHealth pharmacy technology business, and recently made a $1.1 billion acquisition of CoverMyMeds, a company that provides electronic prior authorization services. It's also keeping a division that provides back-end hospital software, though it's looking to sell that business. The combined company has a significantly broader portfolio than the two technology firms would have had apart, said Change Healthcare CEO Neil de Crescenzo, who spoke to Modern Healthcare in an exclusive interview before the deal closed. Before the deal, de Crescenzo was CEO of Change. He will remain CEO of the new company. “The two companies together can do something neither one of us can do by ourselves,” de Crescenzo said, noting that the combined company's offerings go far beyond revenue cycle and payments, by incorporating clinical analytic capabilities and other tools that will be well-suited for emerging value-based payment models. The new company has nearly 15,000 employees, and its executive team includes McKesson and legacy Change executives. Randy Giles stays on as Change CFO, while McKesson executives Rod O'Reilly, Erkan Akyuz and Pat Leonard move to the new company in executive vice president positions that are similar to those that they held previously, along with other McKesson and legacy Change Healthcare executives. Given the uncertainty in the market around healthcare reform and other potential changes in policy, some hospitals may be apprehensive to sign new, major contracts for goods or services, out of concern that changes may affect budget planning. But de Crescenzo was optimistic about the new company's prospects given the massive amount of money hospitals spend on administrative functions. He also thinks more payers are going to see the value of the new company's offerings in helping them better engage patients and protect their long-term health.